In order to support the various electrical modifications I am doing to my car, I need to upgrade the alternator. The factory alternator for the '64 Dart Slant-6 was, at best, a 30-amp unit. Most owner reports indicate they don't do that well on a good day. There are larger output alternators that were used on later Slant-6 applications, but these units (reportedly) suffer from poor output at low engine speeds. 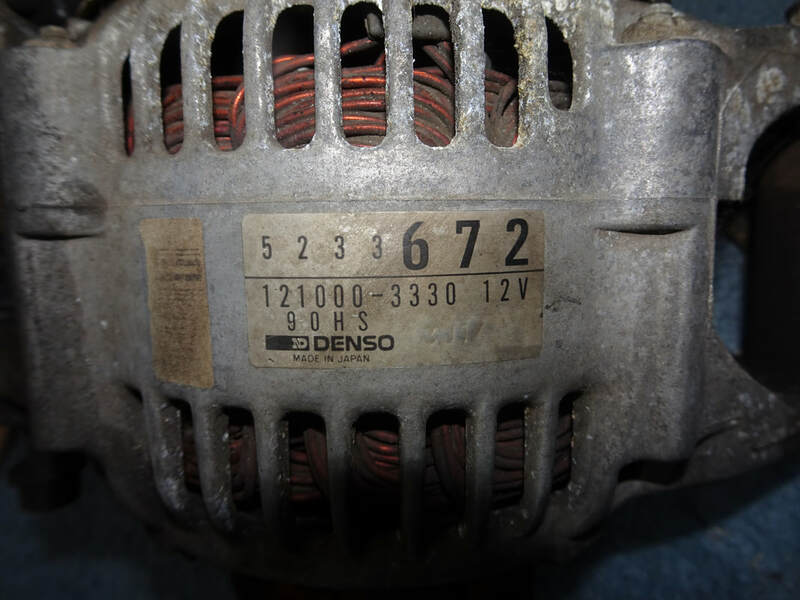 There is another option though, which is the 90 Amp dual-field NipponDenso alternator from various late 80's and early 90's Chrysler and Dodge models. IMPORTANT NOTE: If you decide to do this upgrade, you have to upgrade your vehicles wiring and charging system! Two critically important things you have to change are using a later MOPAR voltage regulator (like a VR125) instead of the factory mechanical regulator AND you will need to bypass the ammeter on your dashboard. There are other important changes you need to make and failure to do so means you risk an electrical fire! I pulled the used example shown below from a 1990 Dodge Dakota with a 3.9L V6. Notice the significant difference in size between the factory unit on the left and the NipponDenso unit on right. The NipponDenso unit is about half the diameter and only a little longer than the factory unit, despite being 3-times the output! 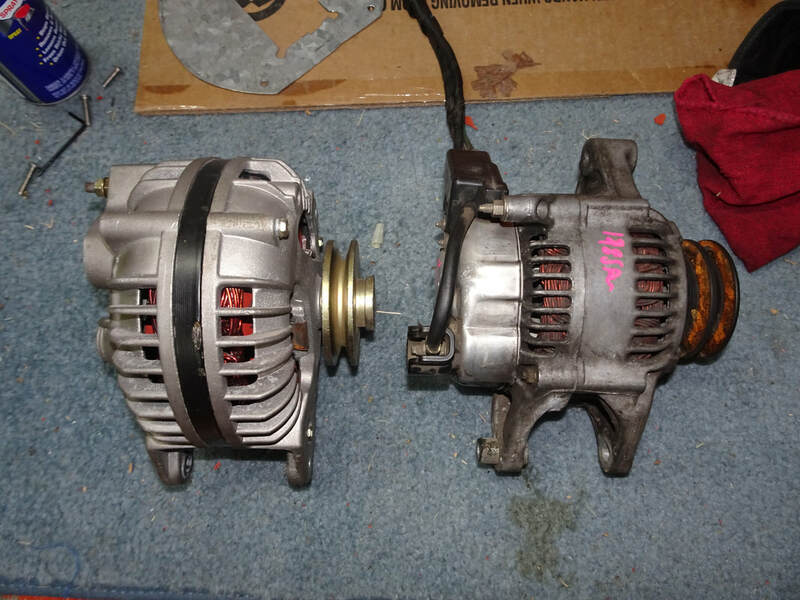 If you are a Slant-6 owner and want to do this upgrade, save yourself some money and pull this alternator from an 89-90 Dakota 3.9L V6, these trucks will have the 2-groove V-belt pulley shown in the picture. Most other models, including the 1991 and newer Dakotas use a serpentine belt pulley, so you would also have to do a pulley swap. You will know it's a 90-amp unit if it still has the original paper sticker tag on it with the key piece of information being the '90HS'. The 121000-3330 is a model designation, and this designation will be different for units that came with a serpentine belt pulley. As best I can tell, the '5233 672' is a batch number.